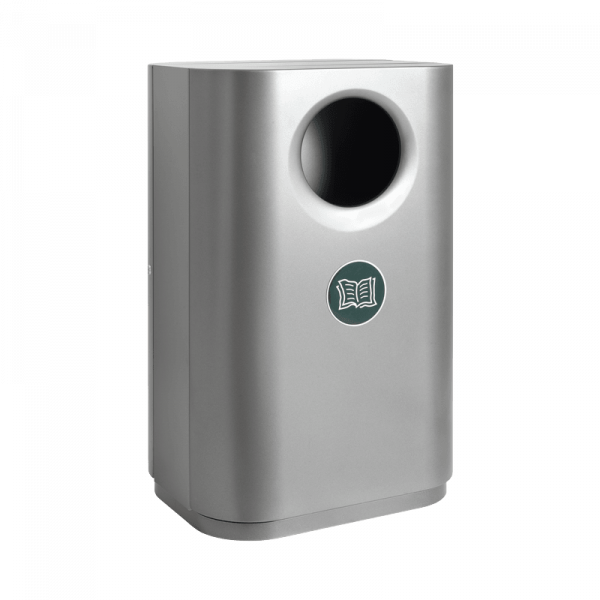 Sturdy 2 x 85 litre recycling bin in grey powder-coated steel. Suitable for indoor and outdoor use. Aperture for one waste fraction on each side. Two separate compartments with sturdy internal bag holders and lockable doors. Customers can choose between twist lock or lock with 4-sided key. The bin is labelled with a range of waste symbols to be chosen by the customer; see the sign for various waste fractions. It is designed to be mounted to the floor, but this is not essential. Surcharge for extra pre-treatment for outdoor quality. The standard coating is anti-graffiti, which means that it is possible to remove graffiti without damaging the coating.